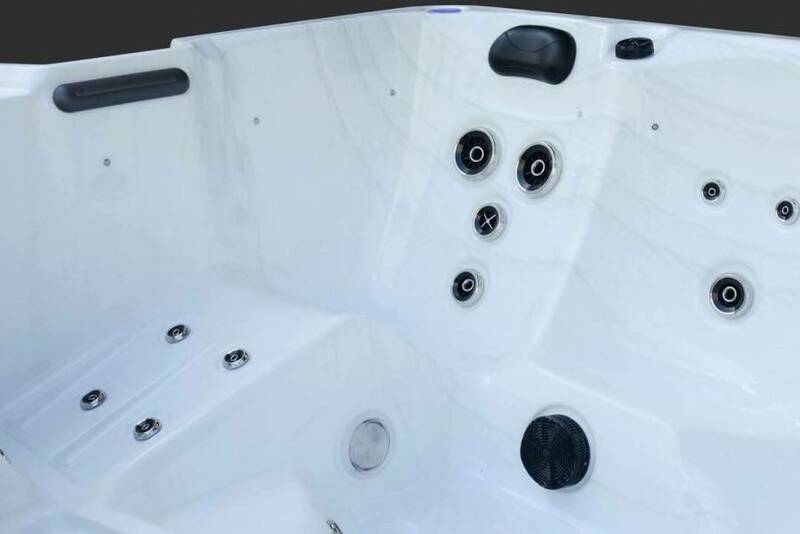 The Trident hot tub is available in two different colour combinations, Midnight Opal (Black Shell) with Black Cabinet or Sterling Marble (White Shell) with Grey Cabinet. 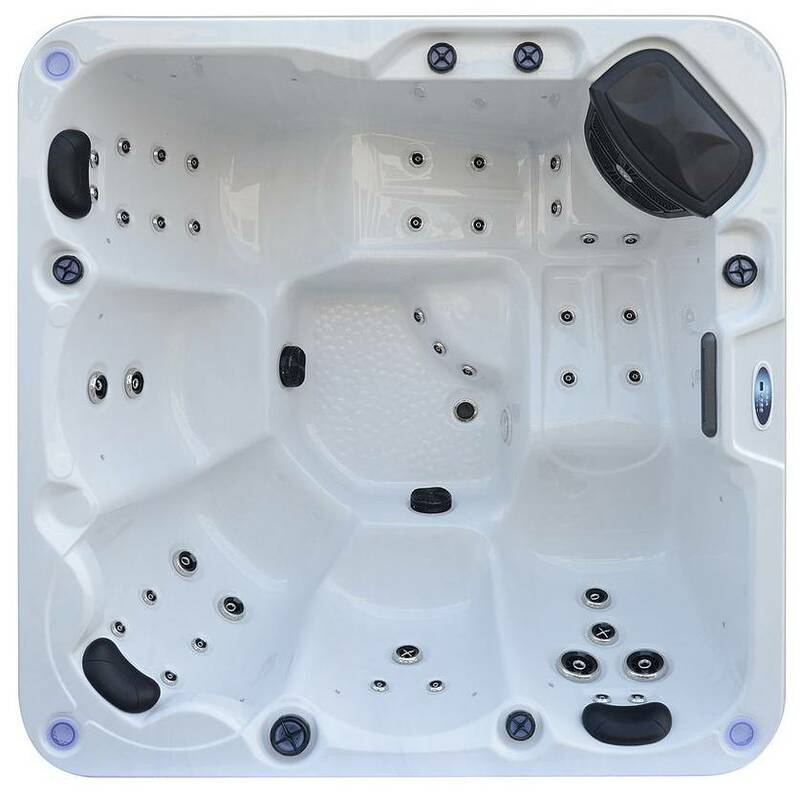 The Trident hot tub comes with a sealed base as standard; this is an integral part of the hot tub’s support structure. 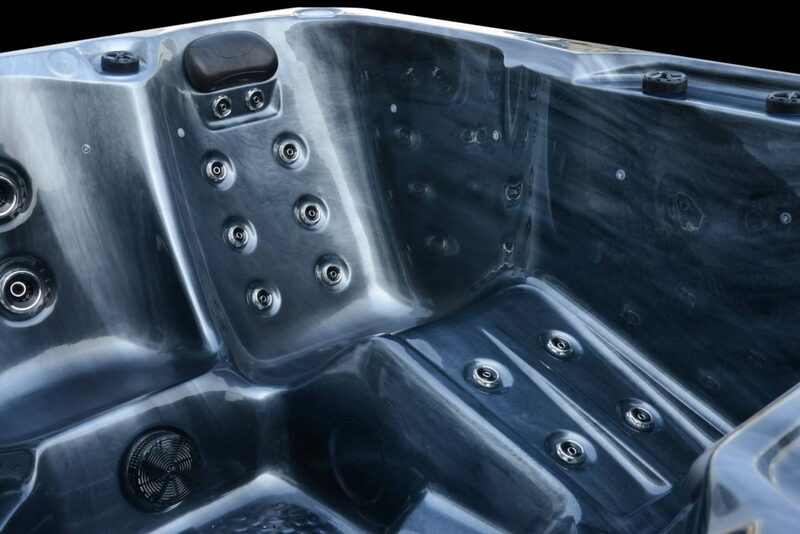 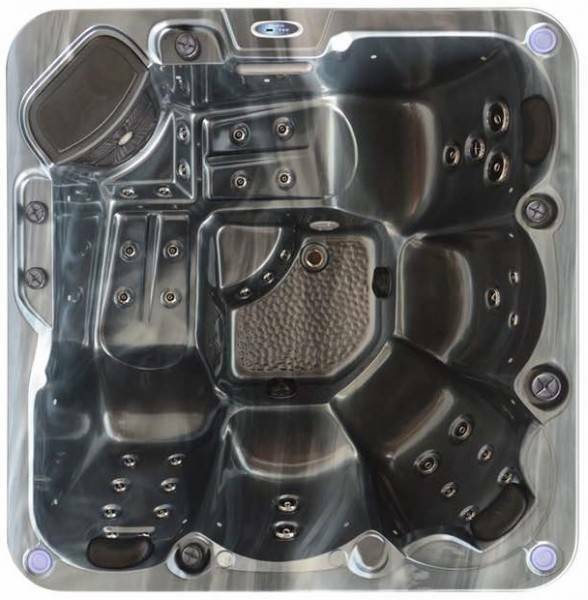 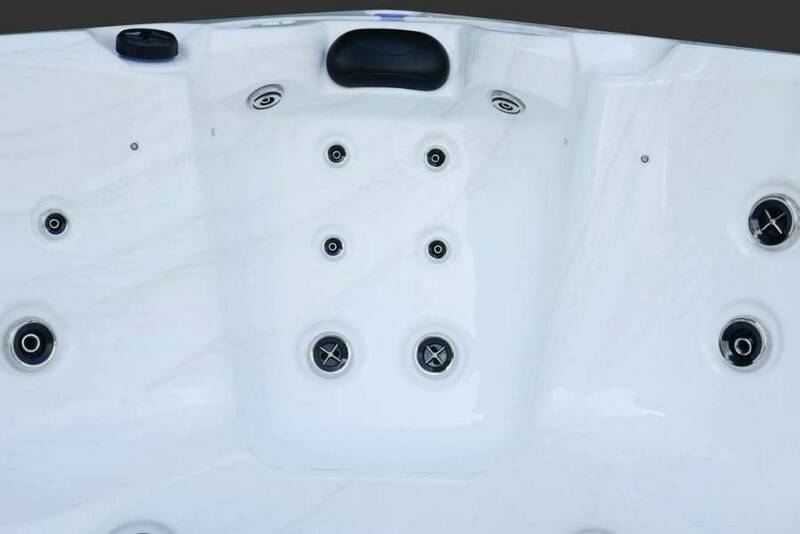 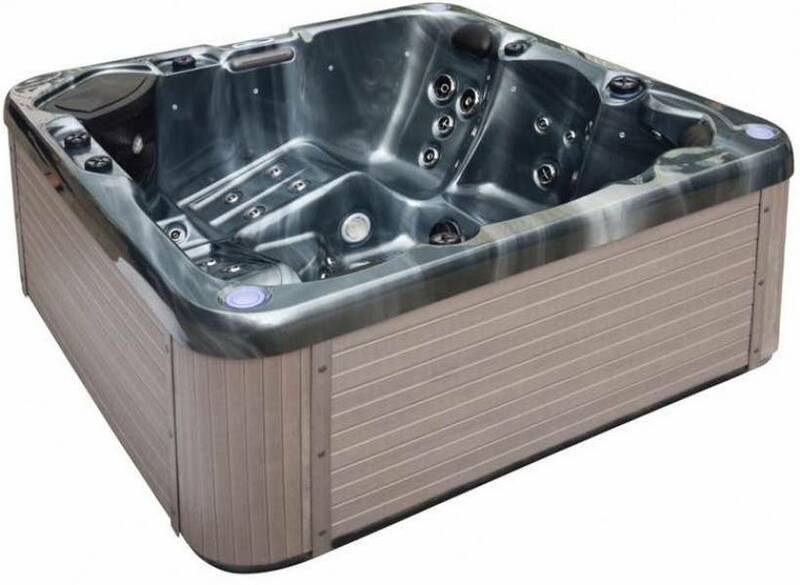 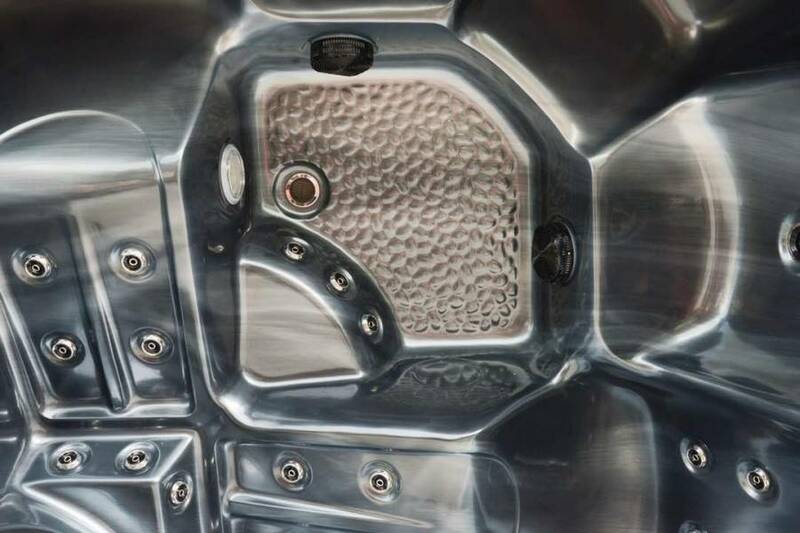 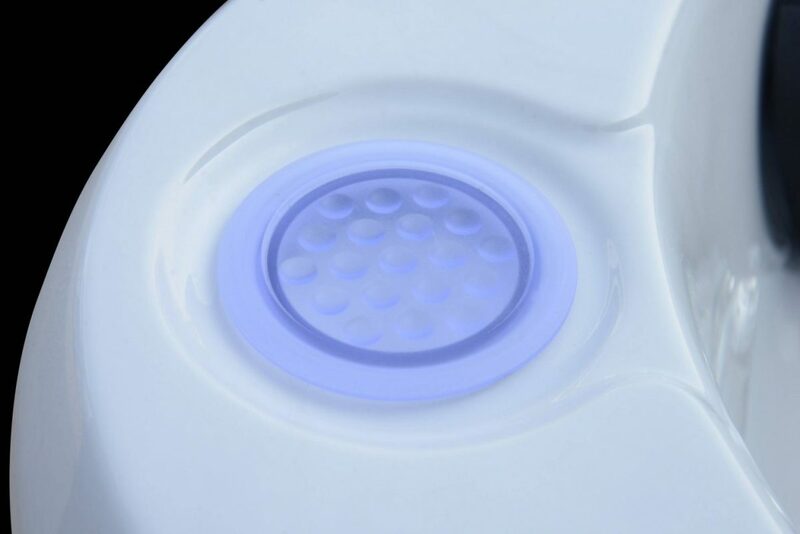 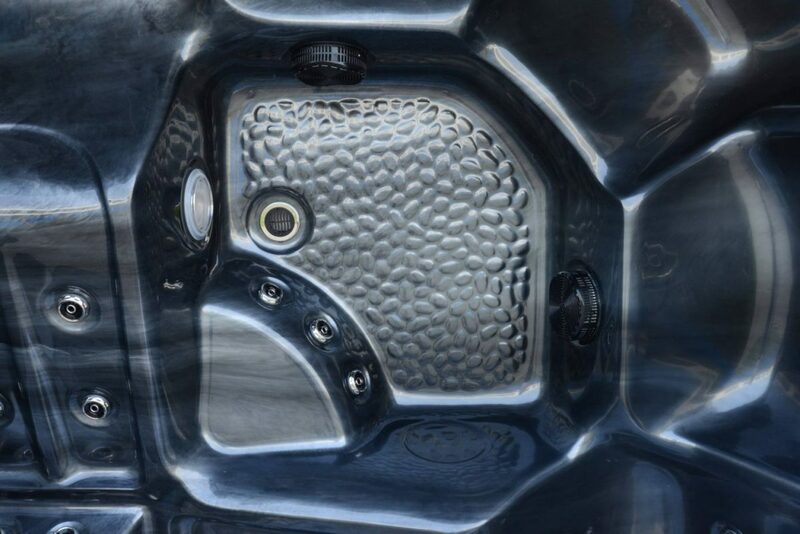 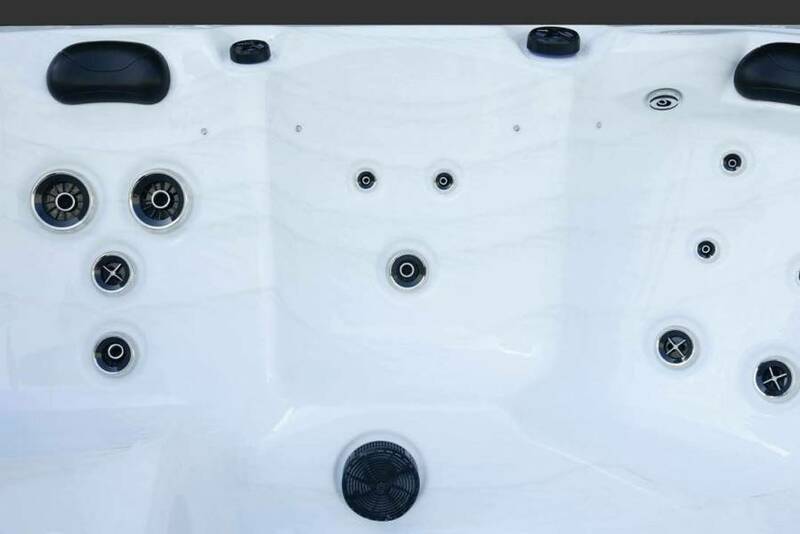 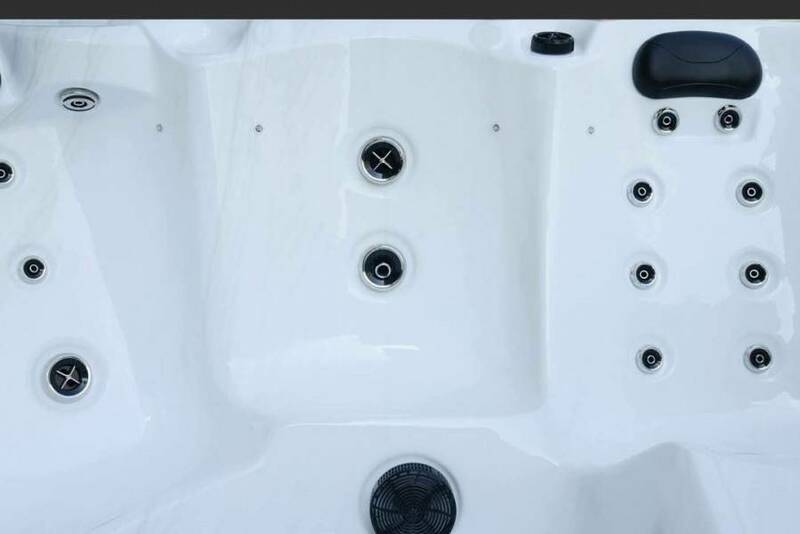 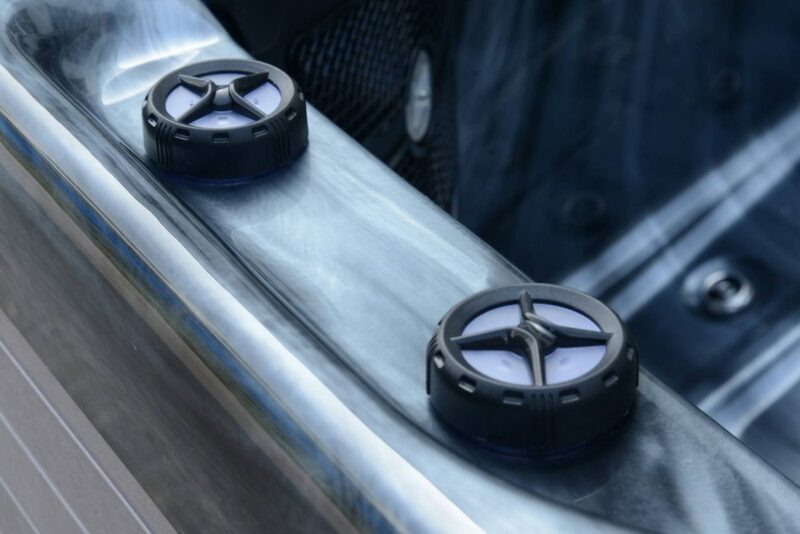 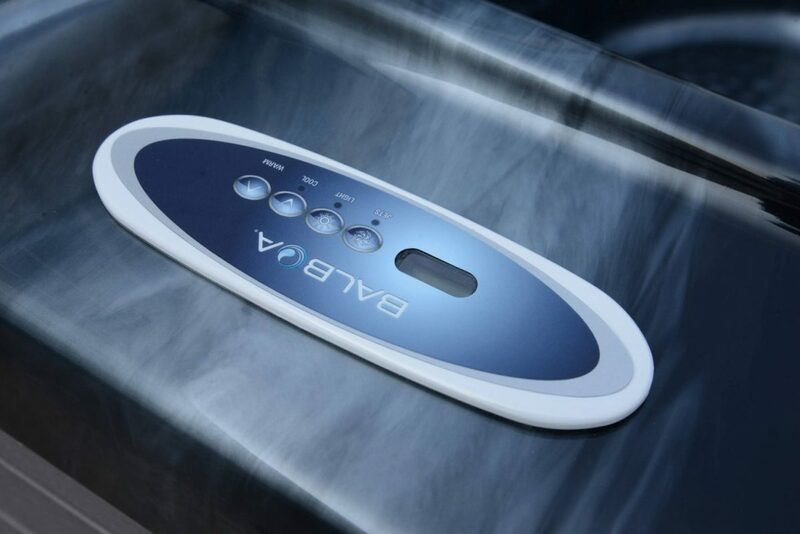 The Trident is also heavily insulated with foam to prevent the loss of heat from the water through the hot tub body. 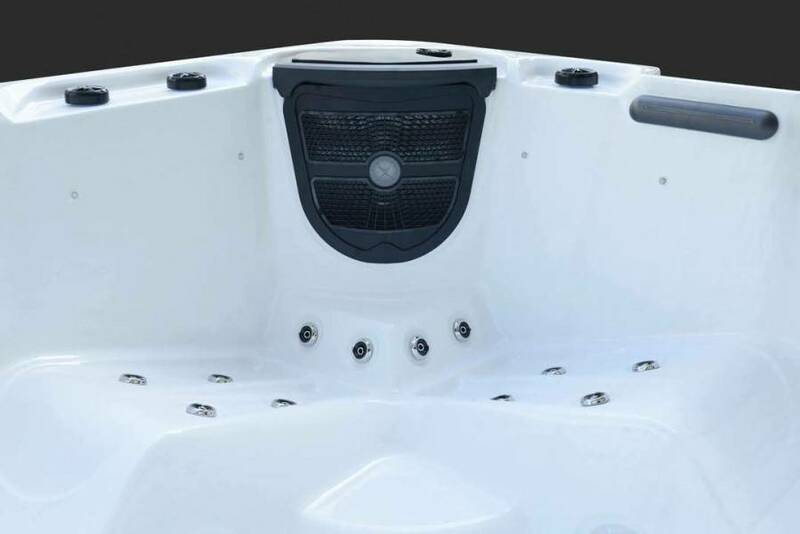 The Trident comes equipped with water level lighting, large LEDs in the foot-well, corner skirt lights and diverter lights. 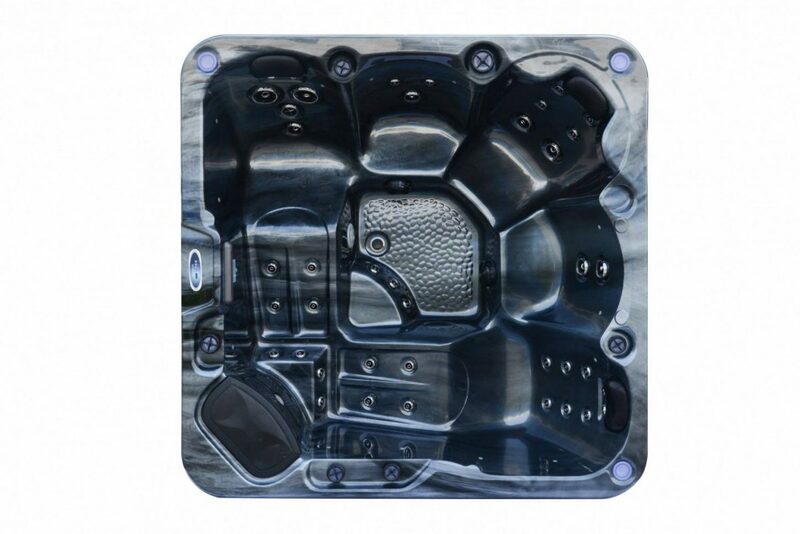 This gives the hot tub a very modern look that will enhance your mood.